Traudel was born and raised in Germany. After high school she coupled an apprenticeship with a major German bank and subsequent studies in financing and economics to become a bank economist. Her minor was in art history at university in Munich. Traudel worked for several years as an investment consultant in a large bank outside Munich before moving to Ecuador, South America, for five years. There she worked for Foster Parents Plan, translating English into Spanish while raising two children. Traudel�s next international move was to Malawi, Africa, where she spent two years continuing to raise her family as well as working closely with a number of charities. In 1987 Traudel moved to Washington, DC, and began her career as a real estate professional in 1989. Over the past 20 years, Traudel has been a top producer in some of the finest real estate firms in the greater Washington, DC, area. At Washington Fine Properties she serves the Maryland, DC and Virginia markets. Traudel's strong work ethic, knowledge, expertise and perseverance impress her clients. Her sense of humor, caring and sensitive ways, as well as her strong intuition and business savvy make her a pleasure and comfort to work with. She successfully guides her clients through the process of buying and selling a home and takes them to closing. She works as her clients' advocate and genuinely cares about them. It was clear from my first call with Traudel that she is a polished professional with a mastery of her business. From preparing my home for showing, setting pricing, working with Amanda to have my home photographed for the listing all the way through to closing on the sale of my home, Traudel�s advice and counsel was invaluable. She had a portfolio of resources to recommend when I needed them, including electrical services when I needed to replace my wired smoke detectors before closing, a roofing contractor to install new vent covers, and movers to pack and move my furnishings. When I had issues with the buyers during the process, Traudel went the extra mile to smooth the process wherever she could, as did Amanda. The end result was a quick sale for a price that met my expectations, and a team that helped to make the process less stressful from beginning to end. 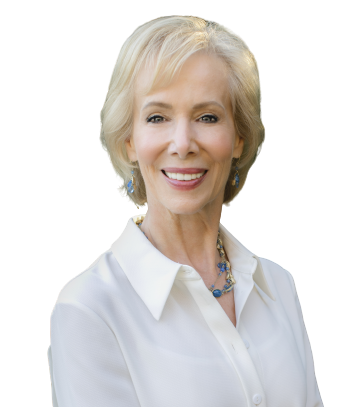 For me, Traudel has set the �gold standard� for real estate professionals, and the quality of her work exceeds that of others, based on feedback I've had from family and friends. Traudel was so impressive in helping us find a home to purchase that we felt she was ideal to help us sell our existing home, and she was! Her experience and attention to detail was outstanding � no detail or question was too small for her to attend to. She worked with other agents in a very professional manner and drew on their knowledge to help us in pricing and showing our house. She was a true pleasure to work with. Traudel was so wonderful to work with. She went above and beyond to help us find our new home. As my husband and I are both working full time, it was difficult for us to dedicate the time we knew was required to search the best areas. Traudel completely met this need on our behalf, educated us on each step of the process, made extra time as we walked to settlement to help us walk through each paper we signed, and worked so hard to advocate on our behalf when it came to saving, even after we agreed to a settlement price with the sellers. She referred us to fantastic services both for inspections, but also for floor refinishing, etc. I cannot say enough to thank Traudel for the way she helped us find our new home. Traudel and her team are amongst the most professional and organized realtors in the Bethesda area. We had a great experience as she she offered us impeccable advice to us (first-time sellers). Her team was really focused on the details and ensured a smooth transaction. We would always work with her � should we need any real estate help in the DC-MD-NOVA area. Traudel has been an exceptional resource for us, without whom we would have been lost in our first home-buying experience. During the search for our dream place, she was very diligent in identifying the important parameters for us. She then ran off with those to search the market diligently and showed us a broad set of options. Her expert judgment of houses and deep knowledge of the neighborhood and real estate market were truly impressive. She found us our dream house before it was on the market! Once we decided, which happened rather quickly, she skillfully guided us through the negotiation and closing processes, which could be daunting for first-time homeowners like us. She ensured that we stayed on schedule for our contractual obligations and was always available to discuss our questions, even if that meant a late evening call for her. We felt at ease at all times, knowing that Traudel was watching our back. Her support to us did not vanish after money and keys changed hands. We extensively relied on her broad network of service-providing professionals for key adjustments in and around the house. Even a year after our purchase, we do not hesitate to reach out to her for warm, friendly advice, and every time we pick up the phone, our 2-year old daughter runs around the house in excitement, shouting "Traudel is coming, Traudel is coming!" Traudel Lange helped us sell one house and buy a new one within a few months. She is a true professional who listens to and understands her clients. With a great network of sources, she knows in detail local real estate markets and the pros and cons of various locations and homes. Traudel expertly organized our sale, including how to best and efficiently present our home, price it and sell it. Likewise, she guided us in identifying and evaluating what kind of house we wanted and where and in negotiating both the sale and the purchase. Above all, Traudel is easy to work with and very responsive. It is impossible to put in words how good Traudel is. Traudel is simply the best in the business! She stuck by us for over a year to help us find the home that would meet our specific needs. Traudel is warm and caring, yet an excellent negotiator – we would highly recommend her if you are looking to buy or sell a home is the DC/MD/VA area. I would like to whole-heartedly recommend Ms. Lange as a realtor for anyone wanting to find their dream home. Ms. Lange combines her excellent professionalism with a personal warmth and friendliness that makes working with her an absolutely pleasure. Ms. Lange worked tirelessly to ensure my husband and I found exactly what we were looking for - which we did, thanks to her. Ms. Lange is extremely dedicated, hands-on and proactive, and makes you feel like her top priority at all times. At the same time, she's such a genuinely nice and down-to-earth person that working with her feels like working with a friend. Beyond knowing the homes and neighborhoods of D.C., VA and Maryland like the back of her hand, she also knows all of the key players in the field (inspectors, mold removal experts, landscapers, etc.) and makes all of the necessary connections. We loved working with Ms. Lange and would recommend her to anyone looking to buy, rent, or sell a home. Traudel is a consummate professional. She came to our very first meeting with a fully researched and polished presentation of my property and her initial sales thesis...impressive and differentiated from others I had already met. She then guided me to a pricing and timeline that were based on incredibly in-depth research. With that support I was able to be very comfortable and confident as we listed the property and as we went through the sales process. From then on, I thought I was her only client. Every single commitment was met, if I needed to talk to her - immediate responsiveness (and if you don't already know, when you are selling your house there are those moments you need to talk). Ultimately, the proof is in the outcome. My home sold quickly and I'm happy. That's what a great real estate professional makes happen. We are so glad to have found you to help us sell the house. It has been a great experience with your help and hand holding for the whole process from deciding the price, prep for showing, showings, to the closing. We really appreciate your help. I was talking to Yolita about asking you to email me some of the house pictures. Well, you read my mind. The photobook is priceless. It is a bittersweet experience selling the house and moving on to the next chapter of our lives. We also want to thank your staff Justin, Amanda, and others, for helping the process go smoothly. Traudel is extremely knowledgeable and helpful about the market and the selling process. She went to great lengths to sell our unique, historic home and brought all of the marketing expertise of her company to bear on finding the right buyer. We recommend her without any hesitation. As many of you know, our unit sold in two weeks. Several of our neighbors have asked who we used. We worked with Traudel Lange at Washington Fine Properties. Traudel is one of the Top Agents in DMV. She is experienced, knowledgeable and singularly focused on client service. We cannot say enough about her! Working with Traudel and Justin was definitely the best condo-shopping experience I could have asked for. They were both knowledgeable, amiable, assertive, personable, and professional. Traudel has so much experience working in DC, and Justin is one of the hardest-working young professionals I've met. I admit, I had a laundry list of amenities that I wanted included in my new home, and however improbable, they found me my dream home. Not only that, we were able to go from looking to closing in 2 months (they also got me the highest sales price for selling my 1-BR coop in the history of my building, which is impressive in and of itself). In a real estate market as competitive as DC can be, it's amazing to have two people on your side that are willing to do whatever it takes to close the deal in a way that benefits both buyer and seller. I would definitely want Traudel and Justin sitting on my side of the table at closing again and will ask them to do so when I decide to move on and up in my next home-owning endeavor. We had an excellent experience with Justin and Traudel! From start to finish, they were kind, attentive, and well-prepared. We primarily worked with Justin and were incredibly impressed with how thorough and hard-working he is. He took the time to carefully and attentively walk us through each step of the process, and let us set the pace of our housing search. He and Traudel are very knowledgeable about the DC real estate market, and it's very likely that without their expertise and focus we would have not been successful in purchasing our new home! They made us feel like their top priority and were great advocates — and what's more impressive is that their knowledge and skill exist in combination with a real authenticity and honesty. Highly, highly recommended! Traudel Lange and her team worked tirelessly to help us find our home in Capitol Hill and to sell our co-op in Dupont Circle. Traudel went above and beyond at every single step�taking the time in the beginning to understand what we wanted, staying in close touch with us about new listings, and working quickly and effortlessly to put together our offer. She made sure we had every advantage and gave us invaluable advice along the way to ensure that our offer was as competitive as possible. When it came time to sell our apartment, Traudel and Justin DiFranco worked quickly to get our apartment ready and made it seem like the easiest thing in the world to sell an apartment during election season, and right before the holidays. Thanks to their extraordinarily wise judgment in all matters, the apartment sold in a matter of days. We cannot recommend them highly enough�they are consummate professionals and a joy to work with. I worked with Traudel Lange and Justin DiFranco to sell my Mount Pleasant single family property in the summer of 2016. Both Traudel and Justin were extremely knowledgeable throughout the process and provided great insight as to pricing the property to get the most interest and the best possible offers. Throughout the entire process they were very responsive to all of my calls and emails and made sure to answer all of my questions thoroughly and clearly. When it came time to negotiate with prospective buyers, they again proved their expertise and were able to negotiate a sales price way over asking and far exceeding our expectations. They remained engaged and responsive throughout the entire process, all the way up to closing and beyond. I would highly recommend Traudel and Justin to anyone looking to buy or sell a home in the DC area. To be completely honest, Traudel and Justin were absolutely amazing! This was my first time buying a home, so I was hoping to find a team who could not only provide me with valuable insight on the DC market but also a team who could relate to what I was going through as a first-time home buyer. My expectations were met and then some. These two form a dynamic team that I believe will not disappoint any client. They have mastered the art of learning how to relate to their clients on a personal, yet professional, level. What I liked best about Justin and Traudel is that they made sure you knew that it wasn't about them, it was about YOU and that they were here to give you want you wanted, no matter how hard or how long it took. And they did exactly that! These two worked around the clock to get me the best deal for exactly what I was looking for. Their knowledge of the market is quite extensive, and they negotiated a deal in a very competitive market that got me the house I wanted for the price I was willing to pay. More importantly, throughout the entire process I never felt like I was working with real estate agents, I felt like I was working with two people who cared about what was best for me. I will undoubtedly be using Justin and Traudel in the future when I go to sell my house and buy another one. Traudel has a winning combination of skills and personal attributes. Her most overarching strengths are her professionalism and responsiveness. It is really a joy to work with someone who is organized and works hard to make the customer happy. But beyond that, she is quite smart and has great instincts. She understands the market and will work with the buyer in the most empathic and respectful way, to forge consensus when the stresses of a real estate transaction could derail a deal. She is also a really nice person and a pleasure to be around! I am not an "easy grader" and I couldn't recommend any one more highly than I would recommend Traudel to you. Traudel and Justin were the bright spots in my new home search! As a first-time home buyer, they explained all the details I needed to make informed decisions. They responded to any questions I had, thoroughly and instantly. They dealt with a difficult lender situation and calmed any nerves the seller may have had, which provided me an effortless experience! Home-buying should be fun and exciting, Traudel and Justin created a fantastic experience with their enthusiasm for the process, their professionalism, and their knowledge, all of which provided me with significant confidence in my purchase!! I would highly recommend this fantastic team to anyone!! We could not be more delighted with Justin and Traudel ... and that they asked us to comment on our experience. From the very beginning, the team outlined the process in detail: they provided us industry and neighborhood data (both historic and current), sketched out proposed timelines for our consideration of our listing, and gave us a comprehensive "punch list" of the necessary steps in order to realize our goals. The go-to-market strategy was executed flawlessly, and within a week we had multiple offers. The negotiations between the several offers produced a material uptick to the list price, and we were very pleased with the result. Of considerable note, Justin and Traudel kept us informed and on track throughout the settlement period. We closed on the day scheduled without a hitch. Justin and Traudel will handle your most exacting needs. Do yourself a favor and call them today! We can�t say enough about the incredible job that Traudel did in helping us find a new home and sell our previous one. In a profession that unfortunately does not always showcase high levels of competence, Traudel delivered an impeccable performance in the several months we worked together. Traudel was available to us at all hours, was incredibly organized and efficient, and was tenacious in her hard work to help us with both transactions. Her attention to detail is unsurpassed � she found things that needed to be addressed in our new home and helped us craft solutions with the seller that were in every case to our benefit. And with respect to our former home � she knew how to price it correctly and was able to get a higher price than we ever reasonably hoped we would obtain. And to top all of that off, she is a kind, charming, lovely person whom we now count as a friend. I would recommend her without reservation to anyone seeking a residential real estate professional. We were extremely pleased with Traudel Lange and Justin DiFranco working together as a real estate team. Traudel�s long-time experience as a realtor together with her knowledge of the local market and her sense of timing, in addition to her negotiating skill, is second to none. Living out of town at the time, we depended on her and Justin�s assistance in getting the house ready for showing as well as taking care of the flaws the inspector found, always keeping us informed along the way. Her warm and friendly demeanor together with her thoroughness made the house sale a positive experience. We highly recommend her. We gave Traudel a tough job: selling our three-year-old townhome in a less-than-optimal location. Traudel worked very diligently, tirelessly, and still managed to sell the house in prudential time. Throughout the process we welcomed and followed her advice; she was not only very professional, but very gracious. As we moved out of the US, she kept helping us overseeing last-minute house repairs. As I wrote her at the time in a thank you note . . . she went �beyond the call of duty.� For all of that we strongly, and without any reservation, recommend her (and her associate Justin DiFranco) if you need to sell or buy a house. Traudel Lange is such an organized, smart, efficient and business-savvy woman. She is an absolute pleasure to work with and always upbeat. We knew everything would work out because she quite simply had it handled. We knew to completely trust her and her incredible instincts. She makes selling a house and buying a new one somehow seem easy. We don't know how she does it, but she does it with grace and charm. Look no further — Traudel should be your agent! We had the strong and steady guidance of Traudel Lange and Justin DiFranco behind us and beside us as we hunted for the perfect house for our family. We could not have asked for a better and a more professional team. We recommend them highly. After getting to know what our family's needs were, our tastes and our lifestyle choices, Traudel showed us only the houses that she knew held potential. We greatly appreciated having her sort through the listings for us instead of trying to show us everything out there as other realtors have done in the past. We were on a tight time frame and Traudel ensured that we moved quickly but in a determined manner through new listings. We felt as though we were her top-most priority�thank you, Traudel! Traudel was also extremely helpful in helping manage our expectations and the expectations of potential sellers in terms of working to a common goal. We never felt that Traudel was trying to push or force us into a decision one way or another. She might not have agreed with us on certain aspects of negotiating the fine points of a deal, and while she let us know gently, she had our best interests at heart. Her endless supply of granola bars kept our children humming the whole time we were house hunting, and we loved the rapport both Traudel and Justin had with our children. Our daughter even explained to us one night over dinner that "real estate agents are the spice of life!" Dear Traudel and Justin, thank you for all your work in helping us find the right house for us�as soon as we are unpacked, you must come by! The most important thing when working with a real estate agent is trust. We have been extremely lucky to have found Traudel Lange as our trusted real estate agent. As a European family we relocated to the US several years ago and moved back to Europe very recently. With Traudel�s excellent support we found the perfect home and we sold it when we moved back to Europe — even before it went on the market. Traudel very professionally and diligently guided us through the purchasing and selling process — always available, super-fast response times, great advice, very thorough knowledge of the Bethesda housing market, a real pleasure to work with. Thank you Traudel! Thank you so much for undertaking to manage the sale of my residence in Chevy Chase, DC, and the purchase of my new home. I can't tell you how much it means to me to be safe, happy and remaining among familiar faces and friends just a block and a half from my former home. Downsizing was a wise decision and you helped make it so. You eagerly came to a challenge in selling/buying a home on a timeline which met my needs. From the outset in our discussions, I sensed a person of high ethical standards. I was confident wise advice would guide me through a complicated process and everything legal and financial would be properly tended. You demonstrated an impressive knowledge of multiple neighborhoods, marketing/pricing, financial intricacies, staging and the ability to present complicated real estate concepts clearly and concisely. Your patience and diligence in answering questions are unsurpassed. Return of phone calls/reply to correspondence was unfailingly prompt. You have a wonderful capacity to both listen and understand a client's wants and needs and to help the two concepts gently meet. Always there was great attention to detail from beginning to end and beyond in making sure your client and new home were the best match. You are tireless in pursuit of the best interests of your client. I always felt you were working for me, part of which was helping me see the potential buyer's view, but always leaving me knowing the decision was mine and you would see it through with me regardless. Your assurances at every step of the way meant everything to me. The real estate profession I discovered is not for sissies. Yet I found an extraordinarily astute representative of charm, grace, kindness and uncompromising determination to do the very best for her client ... and succeed you did. Traudel, you are my Realtor for Life! Bless you and thank you, Traudel Lange. Traudel Lange is a consummate professional. She gave me great service when my husband and I wanted to downsize and sell our Cleveland Park home. I followed her staging advice, and a subsequent bidding war meant the house sold in 2009 for over the asking price. When it was time to buy again in fall 2013, she helped us uncover a smaller home for sale in another walkable DC neighborhood � Tenleytown/AU, across from green space, and a block from a playground, should we ever have grandchildren. She even visited me post-sale, advising which home improvements will pay off when we (or our heirs) sell again. I recommended her to a friend, who also had a successful sale, took the proceeds and bought in expensive San Francisco. I recommend her to you. We interviewed several agents when we decided to put our house on the market. Traudel was the last agent we met with and we immediately decided to hire her to represent us. We made a great decision! Traudel is experienced, smart and dedicated to providing her clients with the best service. She was always available and followed-up on every detail. She was a pleasure to work with. In the end, she sold our house, above our asking price, in two days. We will definitely continue to refer Traudel to our friends and family. We have moved eight times within the Washington, DC, market during the past 30 years! Initially, we had various realtors but after several moves we met Traudel Lange and we have been with her ever since. She is foremost a wonderful person who takes her job very seriously. She is always prepared for whatever the job entails. We have always been given excellent advice and guidance throughout the process. Not only has Traudel sold our houses in a timely fashion but she has also helped us find new homes without delay. We recommend Traudel for all of your real estate needs. You will not be disappointed. I turned to Traudel Lange at first and primarily for her experience and success in my particular neighborhood, but found that she offered me so much more than I expected: consummate professionalism in her knowledge of the market and marketing, use of statistics, analysis and online tools, thoughtful assessment of local valuations, and thorough familiarity with local contractors. She was completely reliable, offered honest judgments, guided me unfailingly with negotiations, and made it clear that she was behind me for support in every step of the process of selling. There are Agents and Brokers and then � there is Traudel Lange! I�m a business and real estate attorney with 35 years of practice under my belt. My opinion from personal experience is that Traudel is the most efficient, effective and hardest-working agent I have ever worked with on a personal or professional level. She accomplished for my wife and me what others could not in listing and selling our home. She is absolutely grounded in reality, produces and analyzes facts, markets relentlessly and communicates effectively. On top of which she is pleasant, polite and low-pressure. Traudel presents options and data for her clients to make the decision. She embodies what the term �Agent� is supposed to represent, putting her clients� interest first. I recommend Traudel enthusiastically, wholeheartedly and unreservedly. I wish to commend Traudel Lange and Washington Fine Properties in the highest terms. She has an instinctive feel for pricing and staging. Traudel and her staff make selling a house an "easy" experience, taking on the burden of handling a multitude of details � from renovations to hauling. She never appears rushed or autocratic and returns phone calls and e-mails promptly. Traudel has the ability of making each client feel as if he/she is her only concern � carefully explaining and exploring options and alternatives � leaving it up to the client (as opposed to the realtor) to make important decisions. While most properties are in need of some upgrading or renovation, Traudel jealously guards her client�s resources. In short: Traudel Lange knows the market and clearly understands the difference between a "fast" sale and a "good" one. In my case, it was both. Prior to our association, my house was listed for nearly a year. Under her stewardship, it was listed, marketed and sold in less than two weeks at the full listed price. What more can be said? These are the 10 reasons we would recommend that, if one wants to sell one's house, the best idea would be to work with Traudel Lange! 10. Traudel is always "there" when one needs support or advice. 9. Traudel KNOWS the neighborhood. 8. Traudel will KNOW how to sell your home because she has superior marketing skills and a very efficient support system. 7. If she makes an appointment, she arrives on time. She may be juggling appointments but when she is with YOU, you are her most important client. 6. If there is a question, day or night, it is answered in a timely manner. 5. Traudel works with a most efficient team: Her assistant Sabine provides seamless support. 4. Traudel led us through the rigors of getting our home (of 34 years) ready to sell. She did this with knowledge, grace, and style. She knew when to "push" and when to just "give a little nudge." 3. When Traudel did not like the photographer's pictures of our home, she made him redo them. This meant changing her schedule, so that our home would be "presented" in the best way." 2. The brochure and the virtual tour that Traudel and her staff created showed our home "at its best" and resulted in multiple offers (within 48 hours) and an excellent price for our home! 1. Although it required a great deal of work, we had Traudel's dedication and support throughout the process. She was always positive and encouraging. She NEVER seemed tired! She was determined to see us through the entire, complicated process. From the moment we met, until the deal was signed, Traudel was THERE: in our home, on the phone, or an email away! Traudel never missed a beat (or overlooked a detail). She is a true professional! We miss her! Our new home seems empty without her. We highly recommend her! When we started with the idea of selling our house at 9701 Kendale Road, Potomac, MD, we interviewed four well-known and highly regarded real estate agents. The choice was not easy, but we finally settled on Traudel Lange at Washington Fine Properties, who convinced us with her diligence and attention to detail. We never regretted this decision. From the start Traudel demonstrated that we had judged her correctly. She advised us on how best to present the house for the photo shoot and helped us rearrange furniture in the house and the garden. The brochure she put together was informative and the presentation of outstanding quality. We had started the process in November 2012 and put the house at first on Private Placement and only put it on multiple listing in the Spring, when the house and its surroundings would show best. Once we had completed all the formalities for the private listing we went to Florida, where we normally spend the winter months. During all this time, Traudel and her assistant Sabine Rada took care of the house and informed us regularly of the results of the many showings and the status of the house. We never had a moment of worry. We listed the house officially on March 12, 2013. On April 22 we had a serious offer, and on May 1, we signed a contract at a fair price and settled on June 27. Most of this time we still were in Florida and were able to complete with Traudel's help all the necessary paperwork via email. At the end, we had received a total of some 230 emails from Traudel, all of them useful, informative and bringing the sale of the house closer to a deal. Once we had a contract, we came back to Potomac for the move. During that time, Traudel was extremely helpful by providing us good advice on how to react to the buyers� demands and convincing the buyers to reduce the checklist of the home inspection to an absolute minimum. Not only that, she also arranged for contractors to fix some of the problems on the checklist and to clean out the house. Without her help we could not have met the settlement date. We should also mention the efficiency of Traudel's assistant, Sabine Rada, with whom it was always a pleasure to be in contact with. We sold our house located at 8209 Tomlinson Ave, Bethesda, Maryland, at the end of May 2013. This was not a simple transaction: I was relocating to a new job in London at the beginning of March, my wife and I had bought a house in Ogden, Utah, to which all our possessions were being shifted, and we were selling our Bethesda house, where we had lived for 17 years, in the midst of this stressful transition. We therefore needed a Realtor whom we could implicitly trust, someone who would be available at a moment's notice to help my wife, Nancy. I was quite simply not going to be available at all for consultation or help during the process�meaning the entire burden was going to fall on my wife and underlining the need for a reliable agent who would handle the sale as though it were her own home. Traudel Lange turned out to be this person. The elements included such things as obtaining a suitable power of attorney for me before I left for London; deciding how to do the staging considering all our furniture was being moved out; preparing an attractive sales brochure; and pricing the house to sell. The results speak for themselves: Our house sold within 2 days and $20,000 above list price! The settlement was handled expertly, keeping in mind that by that date, my wife was already in Utah and I was in London. If you are looking for a consummate, caring professional to handle your house sale, it has to be Traudel Lange! Traudel kept a very cool head throughout our somewhat complicated negotiations with our buyer. In fact, I never had a moment's worry about whether details were being attended to - I was contacted by Traudel daily from the beginning, as she assisted in preparing my home for sale, making use of excellent marketing resources, and taking care with the myriad paperwork required. There is a reason Traudel is with Washington Fine Properties. She is a gem herself, and her commitment to her clients is proven by my own experience of a very positive outcome! Traudel Lange was introduced to us in 2003 as we were moving to the DC area very first time. We knew nothing of the area, schools, neighborhoods or homes. Within days, Traudel found us the perfect home that met all of our needs. Five years later we had to sell that home due to a relocation, and again Traudel provided her utmost professionalism, support and friendship in getting our house sold (for a profit!) during a very difficult 2009 Real Estate economy. Last year we relocated back to Bethesda. We gave Traudel a tough set of criteria to work with, but she accomplished this long-distance and helped us pinpoint, view, bid and purchase our dream home within 24 hours. Traudel manages many aspects of buying and selling your home, which can often be a trying experience. We cannot speak more highly of her. She is the one to know and to get it done. Traudel Lange is a key asset for any person seeking to buy or sell a home in the Bethesda area. From her meticulous attention to detail to her charming manner, Traudel is a true professional. She was instrumental in helping us find a home in the neighborhood of our choice (before it was even officially listed for sale!) and ensuring we made a fair offer that was acceptable to the buyers. With persistence and determination, she then helped move our deal along to closing in just over 30 days. I highly recommend the services of Traudel Lange. Whether you know it or not, you have had a profound positive influence on me and Maryann ... and now Dan over the course of the last 15 years of our lives. From the bottom of my heart, I thank you for this latest contribution ... and all the others! You are a consummate professional in this field and a wonderful person! We love you! Traudel Lange has proven to be an expert in her field - not only once, but twice. We experienced her knowledge during the sale of my boyfriend's house and now that we are moving in together, the purchase of our new house was just as rewarding. Her pleasant and professional demeanor, eye for detail, as well as the care of the customer make it a pleasure to work with her. Traudel knows the real estate market and relentlessly perused properties that we might be interested in. There was never a wait, not a wondering what is going on with the houses we looked at. Traudel led us, with additional help from her assistant Sabine, every step of the way with expert advice. In the end, she found the "perfect house" for us and we would recommend her services to anyone. I'm writing to let you know about the wonderful experience we had working with Traudel Lange. My mother passed away last year and we hired Traudel to sell her home. My sister and I grew up in the home so putting the house on the market was a very difficult and emotional decision. I honestly don't know how we would have done it had Traudel not been our agent - I cannot say enough about the brilliant job she did. When I first met with Traudel I explained that I was nervous about doing a lot of work on the house because I have a demanding job that requires me to travel and I have two2 kids to care for. Traudel told me not to worry - she would help me though it. Traudel got multiple estimates for each project, she met with over 20 contractors and helped manage the entire process. She had excellent advice on what to fix and what to leave alone. Traudel worked diligently to manage every detail - from picking paint colors to moving furniture and making sure every vase and accessory was in place before the house when on the market. At an early Open House, the house had no power due to a bad storm. Despite this, and the fact that Traudel herself lost power in her home, Traudel was at the open house leading prospective buyers through a flashlight guided tour. The ultimate buyers and the buyer's agent were extremely demanding and often times unreasonable in their requests. Traudel did meticulous research to follow up on every one of their questions and demands and gave me thoughtful recommendations and guidance on how to move forward. She was consistently gracious and professional. I have bought multiple homes and I've never seen anyone work so hard or be so conscientious and attentive every step of the way. Traudel was more than our agent - she became a trusted resource and a dear friend. I have already referred her to six people and will continue to sing her praises to many others. I just wanted to make sure you knew what a realtor rock star you have on your team. We are extremely grateful to have worked with Traudel and we are impressed with Washington Fine Properties. This letter is our personal recommendation for Traudel Lange. We met several years before my husband and I were in need of her services and discussed what we were planning to do down the road. When we were ready to proceed, she got right on it and within several months had found us the perfect condo and helped us sell our home in record time. Traudel's attention to detail and thinking over every possible problem that might arise was vital to our success. She was very realistic about what to expect in a down market and following her advice made absolute sense. Her staff was also very helpful whenever called upon. Traudel was there with us through the whole process of selling our home and purchasing a condo. She was totally prepared at both closings, not a detail was overlooked and no last minute surprises to deal with. A sign of a true professional! Traudel went the extra mile on so many levels that we consider her a dear friend for life. You'll be in good hands! We are writing to express our sincere appreciation and gratitude for having Traudel Lange as our real estate agent and good friend. We have known her for almost 10 years, and she never fails to impress us with her strong work ethic, knowledge, expertise, and perseverance. Furthermore, her sense of humor, caring and sensitive ways, as well as her strong intuition and business acumen make her a pleasure and comfort to work with in the field of real estate. Good friends of ours referred us to Traudel in 2002. She demonstrated unfailing patience, knowledge, and commitment as she introduced us to different neighborhoods in the Washington, DC area. She helped us find our home in early 2003 and was wonderful in guiding us through the entire process. Around the same time, she exhibited these same qualities as she helped my parents find a lovely home in Washington, DC, as well as my sister's family who found exactly what they were looking for in Bethesda. More recently, she assisted us in securing the purchase of our current home, a transaction that required exceptional skill, given that the home had not been officially listed on the market. Despite the unique challenges associated with this purchase, she consistently showed confidence and expertise in the process and thereby made us feel like we were in the best of hands. Without missing a beat, Traudel skillfully sold our house in less than two weeks in a challenging market in the summer of 2010. In the process, she paid attention to every detail involved in selling our home, from the staging process through the closing. Given her impressive record and the enjoyment we've derived from working with her, we refer our friends and colleagues without hesitation to Traudel. She has been invaluable to us over the years in helping us secure two homes and secure the homes of other family members, and we have no doubt that she would be able to successfully guide others through the process of buying and selling a home. We feel blessed to have had the experience of working closely with Traudel in securing our home. With regard to her business savvy, she is highly knowledgeable when it comes to the trends and nuances in the field of real estate, and from a personal point of view, she is friendly, funny, sensitive, and a true joy to work with. She has always felt like our advocate and she has always made us feel that she genuinely cares about us (and all her clients) finding the perfect home. We look forward to continuing both our working and friendly relationship with her. We are writing to say how much we appreciate and value the help that Traudel Lange has given us on two occasions in selling out houses (and buying a house on one occasion). Some ten years ago, we were looking for a particular kind of house in or near Washington. We went to many open houses until we encountered a real estate agent with special qualities, energy, thoughtfulness and business skills, Traudel Lange. She really stood out when we first met her at an open house, engaging us and finding out what we were looking for, since the houses we were looking at didn't quite meet our needs. After that, she contacted us regularly with suggestions of houses for sale that might meet our needs. When we found just the right place, we bought it with Traudel's help and immediately put out house on the market. She guided us with detailed suggestions on preparing the house for sale and she got us help that we needed, particularly with a plumbing crisis that arose when we were out of town. The house sold three days after it was on the market. Traudel was wonderful in guiding us through the process of selling and with the final settlement. We were delighted to have things go so smoothly and quickly, but we were also impressed with the kindness and helpfulness that she showed to us, her clients. When it came time, some ten years later, to again sell our house, Traudel again actively assisted us with the preparation, referring to us the best help in painting and repairing and getting ready to sell. She took care of the staging, using her unusual artistic sensibilities. She spent a lot of time with us going over all the details of the paperwork and preparing us for settlement. Again, the house sold within days of the first open house. This was really quite surprising because the economy was so shaky at that time. Again, Traudel guided us through the increased paperwork and inspection processes. But she also gave us a lot of support and attention at a time that was very difficult for us. Her devotion to our well-being was very touching. We also want to mention that we referred Traudel to a friend of ours who needed to sell a rather battered but beautiful house. Our friend was grateful for Traudel's enormous help in getting a really good sale after helping organize the necessary repairs and presentation. Our friend also appreciated Traudel's personal qualities as well as her business skills, her friendliness and willingness to extend herself as a person. We wish to say that working with Traudel was a very special experience and we will always remember her warm relationship with us and her caring assistance in difficult times. We found her very astute and active in the business side of her contact with us, but also a good friend and a wonderful person to know. She really sticks up for her clients' interests, but also supports them with her warmth and kindness. We look forward to continuing our contact with her. I am writing this letter to inform whoever reads it of the most pleasing experience I had this past summer when Traudel Lange handled the sale of our house in Potomac and acted as our agent in the purchase of our present home. Prior to placing our house on the market, Traudel spent several hours in person and countless hours on the telephone getting us ready for the house to hit the market. She gave us lots of sound advice on what to do, what to change/improve, and suggestions on workmen to use to make these changes. She was totally on track on what to spend and how to spend it to make our house appeal to potential buyers. The good news is that as soon as the house was ready and made available to prospective buyers, we received four offers, three of which were full-price offers, written within a few days. What could be better than that! Traudel helped us through the closing phase, and I don't know if we could have handled it so easily without her guiding us. She arranged a lease-back so that we could remain in our house after the sale had closed while we were still looking for our new house. I must confess that the family and I had not done our homework concerning the right size/type of house/geographical area to move to - indeed we were all over the place. This meant that Traudel as a buyer's agent had her job cut out for her. And because we had sold our Potomac house so quickly, we were under a time crunch, which was stressful. Once more Traudel came to the rescue and, again, spent countless hours showing us neighborhoods and homes and assuring us that she would help us find the right house for our family. Finally, she found the perfect house for us in the Kentlands neighborhood. A place with sidewalks, an urban setting, local transportation, and friendly neighbors. She told us about this house within hours of it coming on the market, so that we were in a position to be the first to see it and then to make an offer before anyone else. As an agent, Traudel is extremely hands-on, and tasks that some agents may delegate to an assistant, she handled herself. For example, Traudel personally participated in all of the home inspections and walk-throughs associated with the respective sale and purchase of our homes. I would be very pleased to recommend to anyone who is planning to move to seek out Traudel and go with the very best. This is a letter of recommendation for Traudel Lange. Traudel has been our Realtor since 2009 when she successfully represented us as a buyer's and a seller's agent. Traudel was a great pleasure to work with and made our transactions smooth and stress free. Her professionalism and experience saved us a lot of money. As buyers, we initially chose Traudel based on her reputation and because she is one of the leading realtors in the area. Her knowledge of the market was obvious. She could describe houses we had already seen, houses that would be worth seeing, or those that would be a waste of time. Making an offer on a house can be a stressful and difficult experience. We can say with confidence that if it wasn't for Traudel's knowledge of the market and the market players we would not be in the house we are now. Traudel is a shrewd negotiator who puts the right amount of pressure on the other party to represent her clients' best interests. The result was getting the house we wanted at a great price, against competition, and with all the necessary repairs completed by the seller. Getting the right house while saving thousands of dollars is the reason why we felt we made the right decision to work with Traudel. Traudel was equally impressive as a seller's agent. In a difficult mid-winter market and with five identical units for sale, Traudel managed to sell our house quickly and at a price well above our expectations. When serious buyers had questions about remodeling she brought in a contractor the next day to give us a reasonable quote. She always followed up the same day on miscellaneous questions from buyers. Traudel also understands the rights of sellers and buyers when it comes to a home inspection which saved us money on expensive repairs. Traudel stayed in touch with our eventual buyers for several weeks, making every necessary move to make the buyer feel comfortable. Because the buyers worked with an inexperienced agent, Traudel had to put in twice the work to ensure that everyone fulfilled their responsibilities on time. Whether buying or selling, working with Traudel will allow you to reach your settlement date in complete confidence that the transaction will go smoothly and that you will get the best possible terms. Finally, Traudel was able to provide us with recommendations for contractors, movers, settlement companies and mortgage experts each time with multiple options. All of her recommendations have been excellent, professional and reasonably priced. We are still asking her for recommendations when we make improvements to our new home. Please do not hesitate to contact us directly with any questions concerning Traudel. On June 30th, 2010, I sold my house on 35th Street NW in Cleveland Park in Washington, D.C. Traudel Lange of Washington Fine Properties was my real estate agent and I could not be more pleased with the efficiency and professionalism with which she represented me. Right from the beginning she was very clear about the various steps involved with selling the house and what the costs would be. I was very pleased to find that there were no surprises when it came to the closing. Traudel also helped me decide which renovations were worth investing in and which were not. She also connected me with a number of trades people, including one man who replaced some of my floors. During the final negotiations over the actual sale price, Traudel was calm and collected and gave me good advice about when to adjust the price and when to hold firm. In the end I feel that I got a good deal under relatively difficult market conditions. I recommend her to anyone contemplating buying or selling a home. I would like to express my great pleasure in working with you over the years. From our first meeting in the spring of 1999 when you patiently showed me all the available condominiums with balconies (but only the ones that matched my criteria! ), to our latest efforts to sell the condo in 2010, you have been a terrific agent and a joy to work with. I so admire your patience and your expertise. I have had an agent here in Santa Fe helping me to purchase a house and she is certainly adequate, but nothing like Traudel! Other agents could learn a lot from you - you would make a valuable mentor. I really appreciate being able to rely on you totally to have my interests at heart and to explain all the details so clearly. Buying and selling real estate is complex and something most of us only do occasionally - so it is extremely helpful to be able to rely on a very experienced top-notch agent to see us through the process. In addition, you handled our latest issue with the litigation going on at the Towers (unknown to either of us beforehand) so skillfully and were so optimistic and reassuring. It made it easier to sleep at night when I could say, "Traudel believes this will all work out." Your persistence with the Towers Board, their attorney, the buyer's agent and mortgage company really paid off and I am most grateful for your hard work and moral support at that difficult time. I will be sure to recommend you when any of my friends and colleagues mention they are buying or selling their homes in the DC area. I hope we continue to keep in touch and that you have an opportunity to visit Santa Fe in the future.